The work on Hyderabad Metro rail project is moving swiftly in order to complete it on the stipulated date. The Metro Rail, travels from North Hyderabad South Hyderabad and passes through its central business district and goes via L B Nagar, Dilsukhnagar, Panjagutta, Ameerpet, Kukatpally, Miyapur, Nagol, Secendrabad, Begampet Jubileehils, Hitechcity,Shilparamam..Etc. It is believed that metro rails will transform the way how Hyderabad travels and will give a significant boost to the realty industry as it will bring the people close to the work place. The upcoming metro will help people in suburb to reach their office faster and on time. Home buyers will not mind investing in suburb, as Metro will offer comfortable and swift journeys. People living in the city, will prefer to move out to avoid traffic congestion and to live in a calm space that is away from hustle-bustle of city life. The head of India Residential CBRE (Commercial Real Estate Services), said that the metro project will bring in stability and will have a positive impact on the real estate industry. Infrastructure like basic amenities that are linked with the metro will surely improve. It may even revive faith for those buildings that are unsold for office and retail space. There are people who want to link new suburb like Miyapur and Nagol to the city. 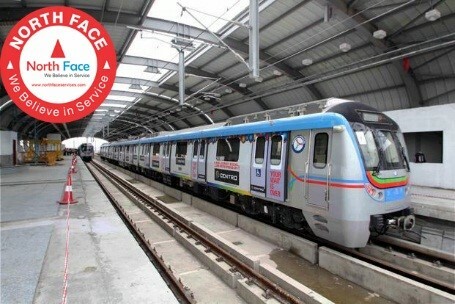 Apart from that there are plans to link HMR with Metro, MMTS service and the proposed Hitechcity project to address the traffic woes of the commuters and to give quick connectivity from one place to another. This entry was posted in News on February 3, 2019 by Venkat Chunduru.